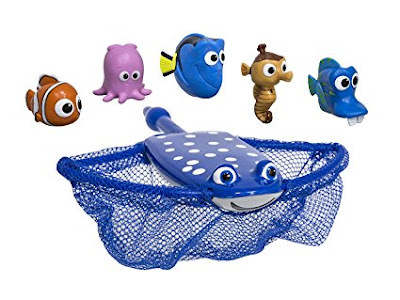 Hurry over to Amazon.com where you can score this SwimWays Disney Finding Dory Mr. Ray's Dive and Catch Game for just $7.99! This water game features a Mr. Ray-styled net that lets you collect five different characters from Disney's Finding Dory. Some float and some sink, so kids can dive and swim to gather them all!